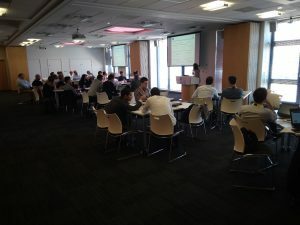 The 6th month interim project meeting of MASTRO was held on July 4 – 5, 2018 at the AMRC facilities in Sheffield, UK. Work package leaders presented the progress achieved in the first six months and outlined their plans for the following six months. Project partners discussed in person about the workflow and the required synergies and worked together on details related to the test cases of the aerospace, automotive, and infrastructure sectors. 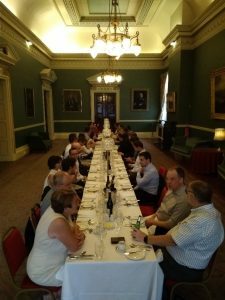 The meeting dinner took place in the spectacular Cuttler’s Hall in downtown Sheffield, followed by a tour of the historical building. A tour of the AMRC facilities took place at the end of the meeting. The consortium members have decided that the next interim project meeting will take place in Alicante, Spain.